My new book Incentivizing Peace: How International Organizations Can Help Prevent Civil Wars in Member Countries (with Jaroslav Tir) is now available from Oxford University Press. The book has been reviewed by David Cunningham in the Review of International Organizations. Civil wars are one of the most pressing problems facing the world. Common approaches such as mediation, intervention, and peacekeeping have produced some results in managing ongoing civil wars, but they fall short in preventing civil wars in the first place. This book argues for considering civil wars from a developmental perspective to identify steps to assure that nascent, low-level armed conflicts do not escalate to full-scale civil wars. We show that highly structured intergovernmental organizations (IGOs, e.g. the World Bank or IMF) are particularly well positioned to engage in civil war prevention. Such organizations have both an enduring self-interest in member-state peace and stability and potent (economic) tools to incentivize peaceful conflict resolution. The book advances the hypothesis that countries that belong to a larger number of highly structured IGOs face a significantly lower risk that emerging low-level armed conflicts on their territories will escalate to full-scale civil wars. Systematic analyses of over 260 low-level armed conflicts that have occurred around the globe since World War II provide consistent and robust support for this hypothesis. The impact of a greater number of memberships in highly structured IGOs is substantial, cutting the risk of escalation by over one-half. Case evidence from Indonesia’s East Timor conflict, Ivory Coast’s post-2010 election crisis, and from the early stages of the conflict in Syria in 2011 provide additional evidence that memberships in highly structured IGOs are indeed key to understanding why some low-level armed conflicts escalate to civil wars and others do not. A complete replication package is posted on my Dataverse. "This is not just another book on civil wars. Its novel focus is on conflict prevention rather than conflict management. The argument on international organizations is nuanced and breaks from prevailing assumptions. Finally, the mixture of quantitative and qualitative evidence is compelling and makes the work widely accessible." "A major work of scholarship that causes us to reconsider the way we think about third-party activity in civil wars. Perhaps most notably, it demonstrates that the structure of IGOs can impact domestic political developments in positive ways." "A timely book that enhances our understanding of how to manage civil wars while providing useful practical advice. Their focus on early intervention with an eye to prevention of full-blown civil wars is a new and vital contribution to the literature." "The argument, quantitative analysis, and case studies in Incentivizing Peace make clear contributions to our understanding of civil war, conflict management, internation- al organizations, and international influences on domestic politics. The book has important implications for policymakers, showing that a set of international organizations that do not explicitly state their mandate as including conflict prevention can in fact work to prevent violent conflict because of their presence, autonomy, and leverage. This book will be, and should be, well read and utilized." David Cunningham, Associate Professor, Department of Government and Politics at the University of Maryland, writing in the Review of International Organizations. After surveying the literature on the causes, consequences, and management of civil wars, we argue that novel ways of examining civil war management are needed. We advocate for a developmental view of civil wars in order to better understand how to prevent the escalation of low-level armed conflict to full-scale civil war. To prevent full-scale civil war, third parties need to (a) respond swiftly, (b) have the will and ability to impose tangible costs on (and offer benefits to) governments and rebels, and (c) remain involved over the long term. Our analysis shows that typical third-party civil war management approaches (mediation, peacekeeping, and intervention) fail to adequately address at least one of these issues. This motivates our argument in favor of focusing on a different type of third party that could arguably play a particularly constructive role in civil war prevention: highly structured intergovernmental organizations. This chapter defines highly structured intergovernmental organizations (IGOs) and examines their temporal and spatial evolution. It then describes the role that these organizations can play during civil war development. We argue that highly structured IGOs have an inherent, vested self-interest in the domestic peace and stability of member-states; the institutional structure and substantial resources that allow them both to act quickly and to be able to alter the cost-benefit calculations of both the government and rebel sides; and an enduring preference for member-states‘ internal peace and stability. These features of highly structured IGOs satisfy all three conditions for successful civil war prevention identified in Chapter 2. The chapter further elaborates on why and how highly structured IGOs sanction member-states at risk of civil war and develop our main hypothesis: states’ memberships in highly structured IGOs decrease the risk that low-level armed conflicts escalate to full-scale civil wars. For a systematic, empirical test of this book’s main hypothesis, we develop a research design for a quantitative analysis of low-level armed conflicts. We define these conflicts as the occurrence of politically motivated violence resulting in at least twenty-five battle deaths. The analysis examines whether low-level armed conflict escalated to full-scale civil war and surpassed a threshold of 1,000 casualties. 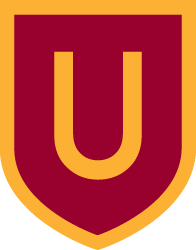 Since World War II, roughly one-third of more than 260 separate low-level armed conflicts have escalated to civil war. Analyzing systematic patterns among these conflicts, we find strong evidence favoring our hypothesis. Countries that belong to a larger number of highly structured intergovernmental organizations (IGOs) face a significantly lower risk that emerging low-level armed conflicts on their territories escalate to full-scale civil war. The impact of a greater number of memberships in highly structured IGOs is substantial, cutting the risk of escalation by more than half. This chapter further probes the finding that countries belonging to a larger number of highly structured (IGOs) face a significantly lower risk that an emerging low-level armed conflict on their territories will escalate to full-scale civil war. Various empirical approaches show that the finding is robust. For example, we establish that the finding holds when we account for (a) the determinants of memberships in highly structured IGOs (i.e. endogeneity concerns); (b) mediations and interventions; (c) natural resources; (d) government-rebel relative power; and (e) spatial, temporal, and transnational trends. Further, (e) we isolate highly structured IGOs’ use of costs and benefits as the key drivers of our finding, (f) establish that nonescalated conflicts end in settlements, as opposed to one side simply defeating the other militarily, and (g) use Bayesian model averaging (BMA) to demonstrate the added value of accounting for highly structured IGO memberships in analyses of conflict escalation patterns. Two low-level armed conflicts, Indonesia’s East Timor and Ivory Coast’s post-2010 election crises, provide detailed qualitative evidence of highly structured intergovernmental organizations (IGOs) engaging in effective civil war–preventing activities in member-states. Highly structured IGOs threatened and sanctioned each of these states and offered (long-term) benefits conditional on successful crisis resolution. The governments were aware of and responded to these IGOs’ concerns, as did the rebels in these respective cases. The early stages of the conflict in Syria in 2011 provide a counterpoint. With Syria’s limited engagement in only few highly structured IGOs, the Syrian government ignored international calls for peace. And, without highly structured IGOs’ counterweight to curtail the government, the rebels saw little reason to stop their armed resistance. The result was a brutal and deadly civil war that continues today. After summarizing the theoretical arguments and findings of this book, we discuss key lessons learned from our study. The international environment has a significant influence on civil war development and prevention. Amplifying their conflict-preventing influence on member-states, highly structured intergovernmental organizations (IGOs) often coordinate their activities, especially in the area of political violence and state fragility. We then identify a number of tangible, economic incentives as the main pathways of this influence. 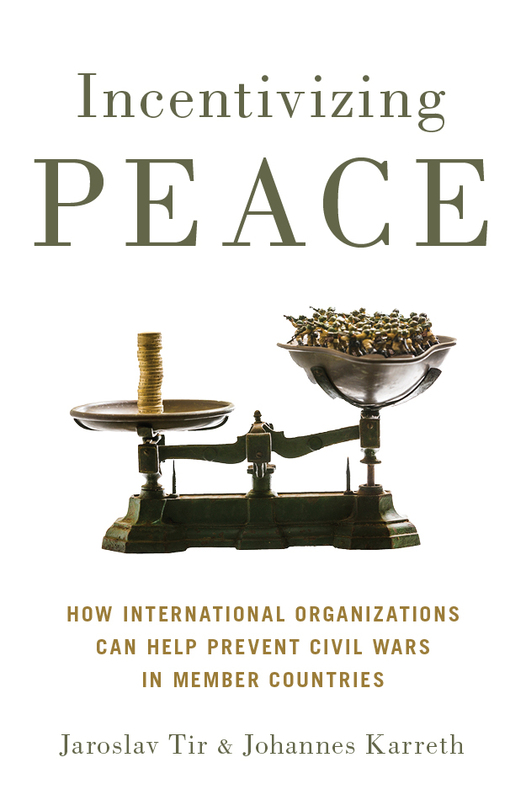 Overall, this book suggests that the economic benefits of peace provide a potent temptation—for both governments and rebels—to settle low-level armed conflict before it can escalate to full-scale civil war. With these lessons learned, we also identify suggestions for both the research into and practice of conflict management. The chapter closes by pointing to opportunities for making use of our findings to further capitalize on the role of highly structured IGOs in civil war prevention.